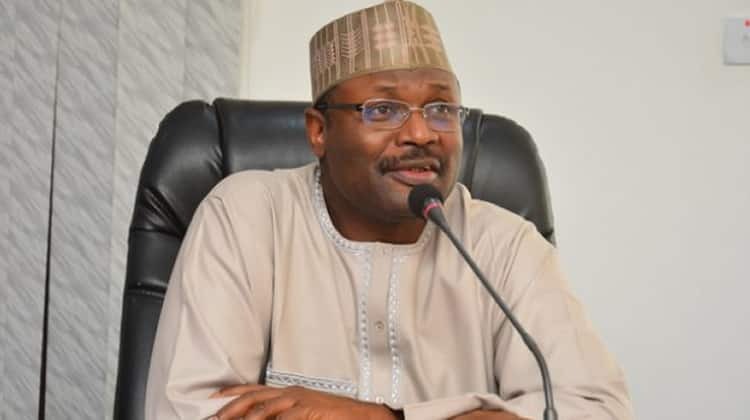 The Coalition of INEC Accredited Observers for the Kano state re-run governorship supplementary election has hailed the electoral commission for distributing the election materials on time. The leader of the group, Ambassador Chinyere Manukwem, made the commendation while addressing newsmen in Kano on Sunday, March 24, NAN reports. Legit.ng gathers that Manukwem represented the Global Initiative for Civic Training and Youth Development, one of the 18 observer groups accredited by INEC. She said the commendation was necessary because the distribution of both sensitive and non-sensitive materials was done in good time. “The distribution of the electoral materials both sensitive and non-sensitive was done in a record time,” she said. He said following the distribution of materials early enough, the election began early enough at most of the polling units visited by the group. According to the group, the election also witnessed massive turnout of voters, especially women as well as heavy presence of security personnel at all the polling units visited. “Most of the political party agents that participated in the election were present at the polling units. “In most of the polling units visited, the election was relatively peaceful with the exception of Dala and Gama wards in Nasarawa local government areas where the election was disrupted by hoodlums,” Manukwem said. The election observers, however, commended the security agents for their quick intervention by restoring law and order in the affected areas. Manukwem, who commended the electorate for coming out en-masse to exercise their franchise, lauded the media for adequate coverage of the supplementary election. The group, however, called on critical stakeholders to continue to educate the electorate on the need for peaceful conduct during elections. It also urged politicians to always accept election results as it is not a do-or-die affair. Meanwhile, Legit.ng previously reported that a former commissioner of lands in Kano state, Alhaji Yusuf Bello Dambatta, described the Independent National Electoral Commission as an institution that promotes thuggery in the name of democracy. Danbatta, who served in the cabinet of former governor Rabi’u Musa Kwankwaso, made the statement at the INEC collation center on Sunday, March 24, in response to the outcome of the Kano supplementary elections. The former commissioner alleged that there was no election in Gama and some other places slated for the reruns.